By the age of 6, Anastasia Ashley had taught herself to surf with a beat-up board she’d found tossed away as trash. It helps that she grew up with her mom near two iconic surf breaks in Hawaii, while her dad lived in the other surfing mecca, Southern California—she split her time between both. The young surfing prodigy has racked up more than a few impressive awards in her career so far, including the 2003 Triple Crown rookie of the year (at age 16), the 2005 Professional Surfing Tour of America Championship and the 2010 Pipeline Women’s Pro, shortboard division, in which she is the athlete with the most finalist appearances overall. Last spring, the professional athlete, model and social media force—who has more than 1.1 million Instagram followers—packed up her surfboards and (just a few) bikinis and left Orange County, California, for the warmer waters of Miami Beach. Flamingo recently spent an afternoon buzzing around Biscayne Bay with Anastasia, soaking up sun on a boat and chatting about her life in the Sunshine State. So what brought you to Florida? AA: I’ve always loved Florida. In the last 10 years, I’ve almost moved here quite a few times. It’s such a beach culture in the sense that everyone walks around in their bikinis and flip-flops, and that’s what I’m all about. Where do you surf in Miami? AA: The surfing spot is basically on First Street and the south end of South Beach. It’s a pretty cool view, looking back and seeing classic Miami Beach. And everyone so far is pretty friendly in the line-up, and welcoming. Have you traveled much outside of Miami? AA: Yeah, I go up to Palm Beach, Lantana, Jupiter. I feel like there’s actually a lot of really cool surf towns in Florida the more north you go. You’re not competing right now. Have you retired from surfing? AA: No, I haven’t said that. I don’t want to be one of those people who say they are retired and then come back and surf another event. I would still love to do some events. My schedule in the last couple of years, it’s been pretty crazy. If I compete, I want to focus 100 percent on it and do my best. It takes a lot of work and training. In my career, I’ve been very happy with the things I’ve done, and it’s hard to go back and try to do better if you’re not 100 percent in it. What’s on the horizon for you professionally? AA: My goal is first and foremost to be a good role model and to inspire people of any age to be more active. I really enjoy working on more projects that give back. I would love to do a surf camp. What was it like shooting for the Sports Illustrated Swimsuit Edition in 2014? 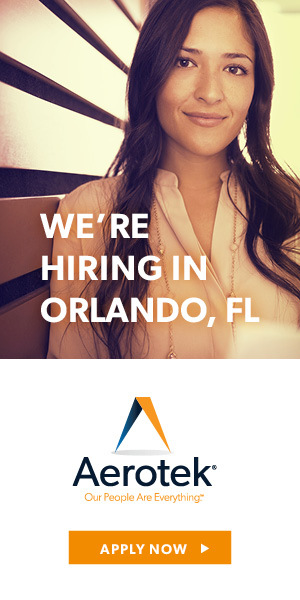 AA: They’re such a great company to work for. To be a part of the swimsuit issue was such an honor. They do a really good job, especially now, at showcasing different women and different body types. It’s definitely one of my favorite shoots of all time. Do you have any must-haves when it comes to bikini fit? AA: Definitely. Having bikinis that are well-fitted and tight, I think, is the number one thing. All the bikinis I wear have to be sport-proof because I’m someone who will throw on a bikini in the morning, and whether I go swimming, hop in the water or go to the gym, I usually don’t take that thing off until the evening. At one time, I probably had over 1,500 bikinis. But I would wear probably the same five. AA: Definitely Kelly Slater. He’s been a longtime influence on me. He’s arguably the best surfer in the world. He’s very smart and business savvy and really has done a lot for the sport overall—both from a performance level and making the sport bigger. And Lisa Anderson was one of the first female surfers to draw a lot of attention and really was an innovator. They’re both Florida people. Have you had a chance to surf with Kelly Slater? AA: Yeah, it’s great to surf with him. It’s always pretty easy just to be in awe and not even get waves yourself. Just to watch him is such an honor. Usually, when the waves are good in any given place or time, whether it be in California or Hawaii or anywhere in the world, he will be there. He has a great sense of where the best waves are anywhere in the world. You must have slater’s same sense, if you’re where the best waves are, too. AA: I try to be.